Harvard Offers 'Partial Apology' For Email Search Of Resident Deans' Accounts : The Two-Way Looking to find the source of a leaked email about a cheating scandal, administrators examined 16 employees' work-related emails. Only one of those individuals was told about the search. Many faculty members are angry. Administrators are apologizing for "insufficient" communication. Saying that the action was required because a confidential email that was leaked to the news media "threatened the privacy and due process afforded students," Harvard University administrators on Monday issued a statement explaining why they last year authorized searches of 16 resident deans' email accounts. The Boston Globe calls it a "partial apology." News of the email searches, first reported over the weekend by the Globe, has stunned the school's faculty, The New York Times writes today. "Bewildered, and at times angry, faculty members at Harvard criticized the university on Sunday," the Times says. "Some predicted a confrontation between the faculty and the administration." Resident deans, the Times notes, are "employees who live in Harvard's residential houses, alongside undergraduates, and counsel them on a range of matters. They also have appointments as lecturers — people who teach classes but are not on the tenure track for professors — and serve on various faculty bodies." 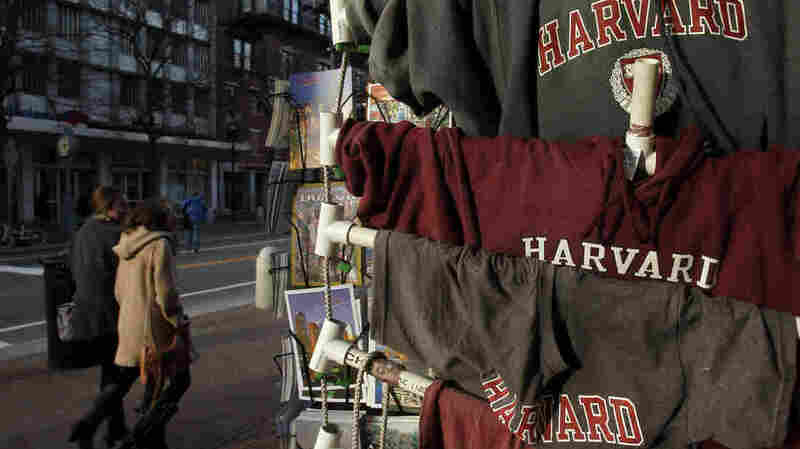 Last summer, as All Things Considered reported at the time, Harvard was hit with scandal: "College officials [said] around 125 students may have shared answers and plagiarized on a final exam." "Harvard University central administrators secretly searched the email accounts of 16 resident deans last fall, looking for a leak to the media about the school's sprawling cheating case, according to several Harvard officials interviewed by the Globe. "The resident deans sit on Harvard's Administrative Board, the committee charged with handling the cheating case. They were not warned that administrators planned to access their accounts, and only one was told of the search shortly afterward. "The dean who was informed had forwarded a confidential Administrative Board message to a student he was advising, not realizing it would ultimately make its way to the Harvard Crimson and the Globe and fuel the campus controversy over the cheating scandal." "Consequently, with the approval of the Dean of FAS and the University General Counsel, and the support of the Dean of Harvard College, a very narrow, careful, and precise subject-line search was conducted by the University's IT Department. It was limited to the Administrative accounts for the Resident Deans — in other words, the accounts through which their official university business is conducted, as distinct from their individual Harvard email accounts. The search did not involve a review of email content; it was limited to a search of the subject line of the email that had been inappropriately forwarded. To be clear: No one's emails were opened and the contents of no one's emails were searched by human or machine. The subject-line search turned up two emails with the queried phrase, both from one sender. Even then, the emails were not opened, nor were they forwarded or otherwise shared with anyone in IT, the administration, or the board. Only a partial log of the 'metadata' — the name of the sender and the time the emails were sent — was returned. "The Resident Dean whose account had been identified was asked about the incident and voluntarily reviewed his/her own sent items and confirmed that she/he had indeed forwarded the message to two students. Although the Resident Dean's actions violated the expectations of confidentiality surrounding the Administrative Board process, those involved in the review and the conversation with the individual were sufficiently convinced that it was an inadvertent error and not an intentional breach. The judgment was made not to take further action. The Senior Resident Dean was immediately informed of the search, and its outcome, and the Administrative Board case moved forward. "Some have asked why, at the conclusion of that review, the entire group of Resident Deans was not briefed on the review that was conducted, and the outcome. The question is a fair one. Operating without any clear precedent for the conflicting privacy concerns and knowing that no human had looked at any emails during or after the investigation, we made a decision that protected the privacy of the Resident Dean who had made an inadvertent error and allowed the student cases being handled by this Resident Dean to move forward expeditiously. We understand that others may see the situation differently, and we apologize if any Resident Deans feel our communication at the conclusion of the investigation was insufficient." Check All Things Considered later today for more.